Add a touch of nostalgia to your sewing room. Drawn thread work needle case & strawberry scissors fob are just the thing! 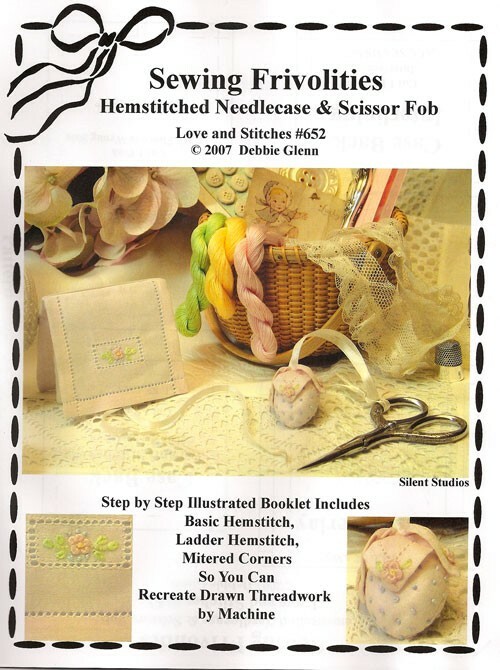 Pattern includes step by step directions for producing an authentic looking drawn thread hemstitch using your machine pin or blanket stitch; as well as how to prepare fabric for machine drawn threadwork, miter corners, remove and secure threads, adjust machine stitches to replicate handwork & much more!